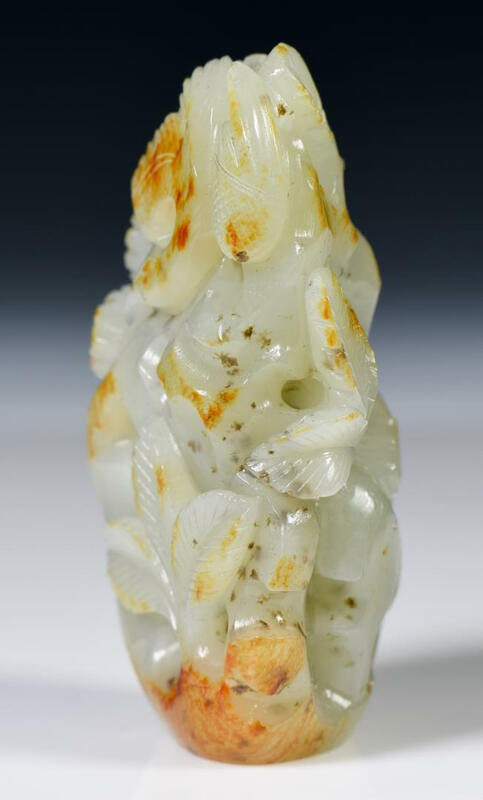 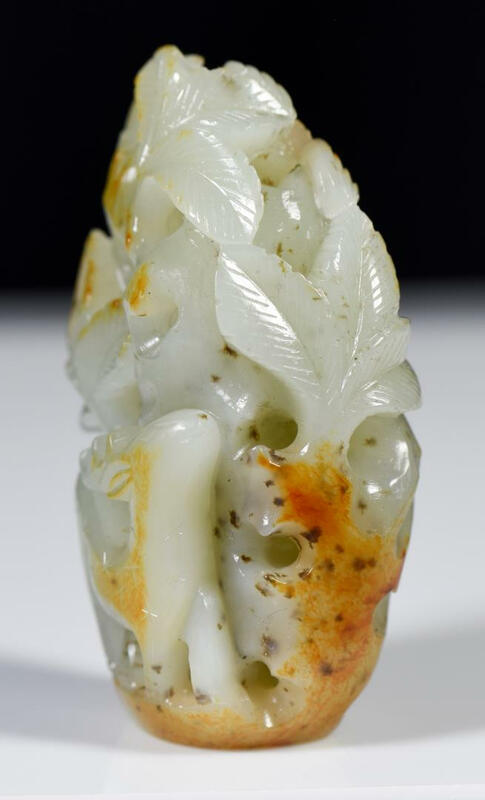 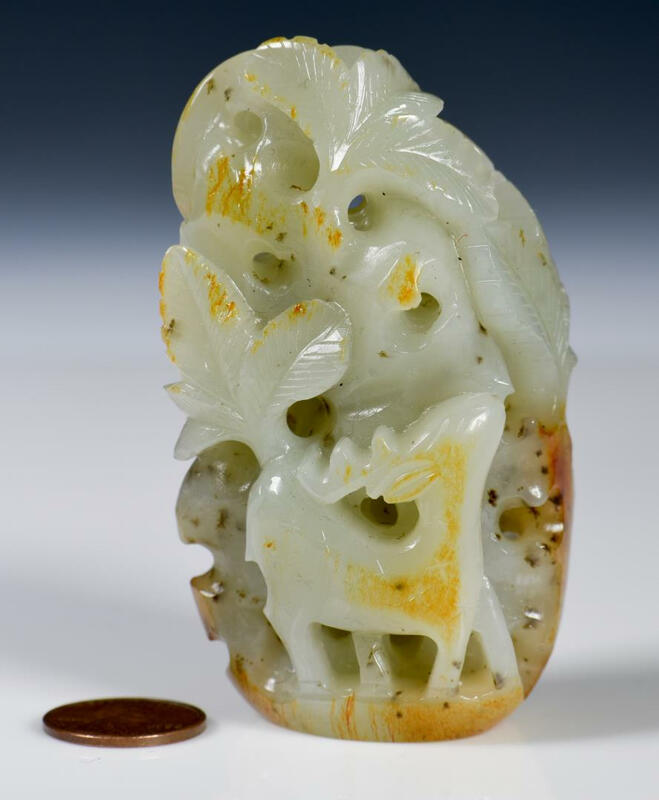 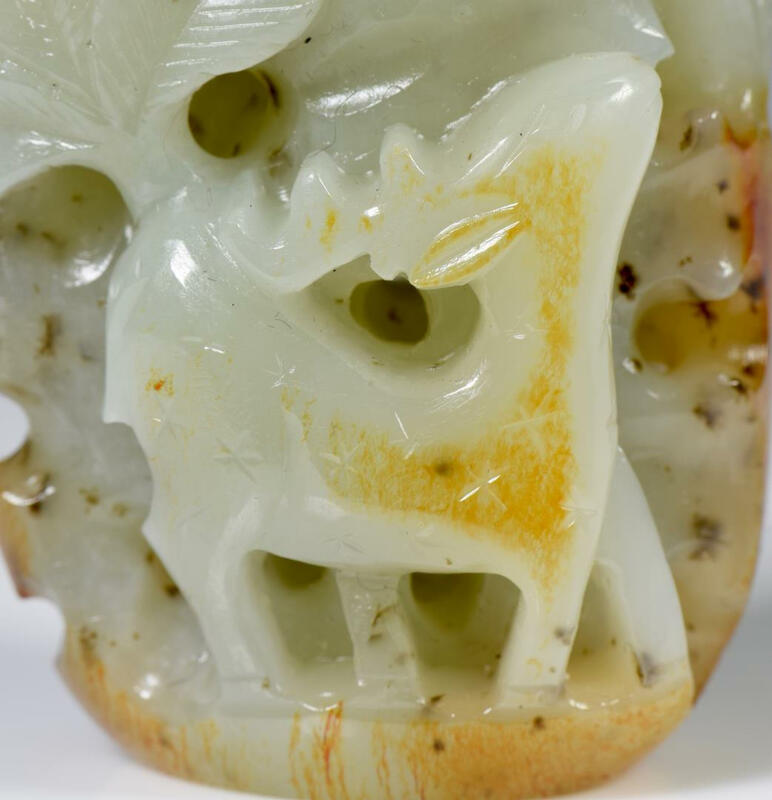 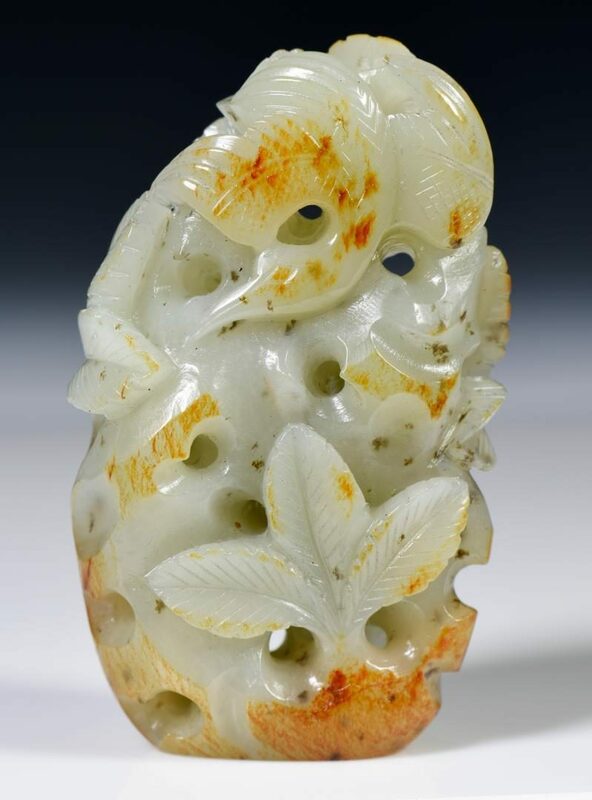 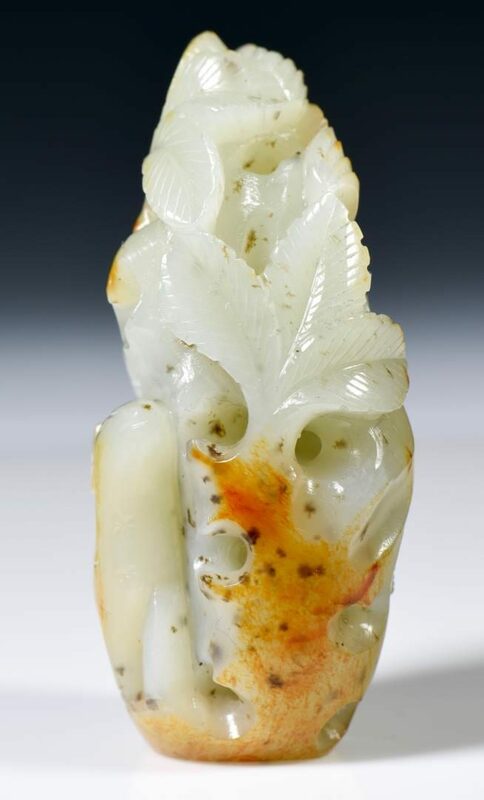 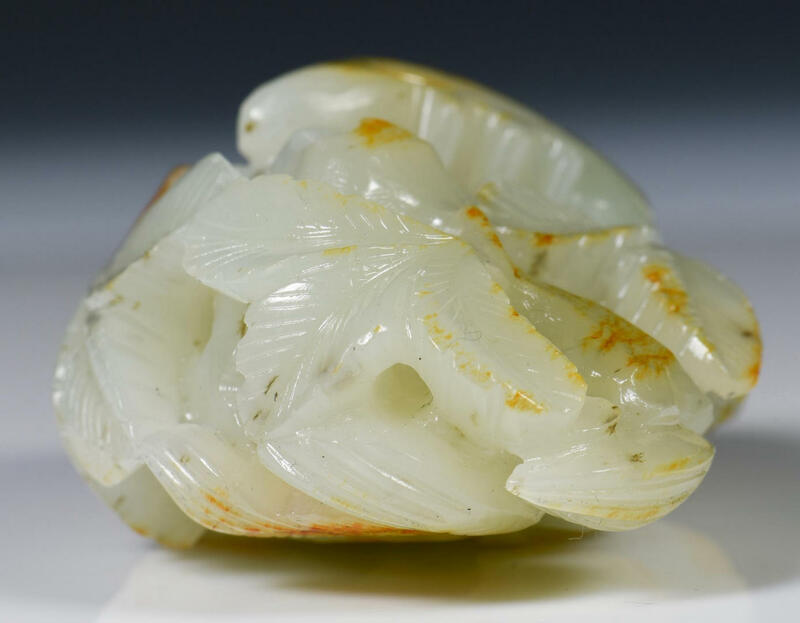 Chinese jade figural carving, celadon with russet inclusions depicting a deer to one side and bird to the other amongst foliage. 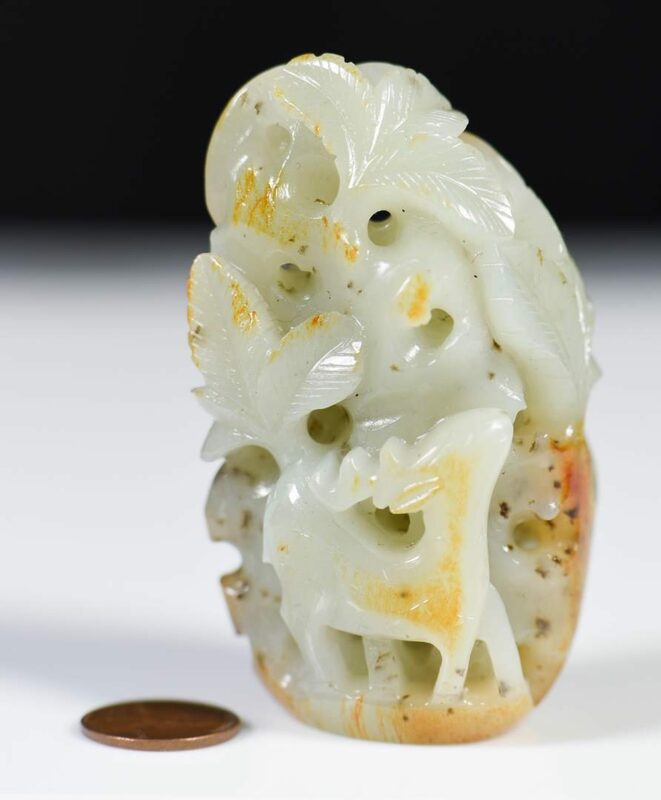 3 1/8" H. 20th century. 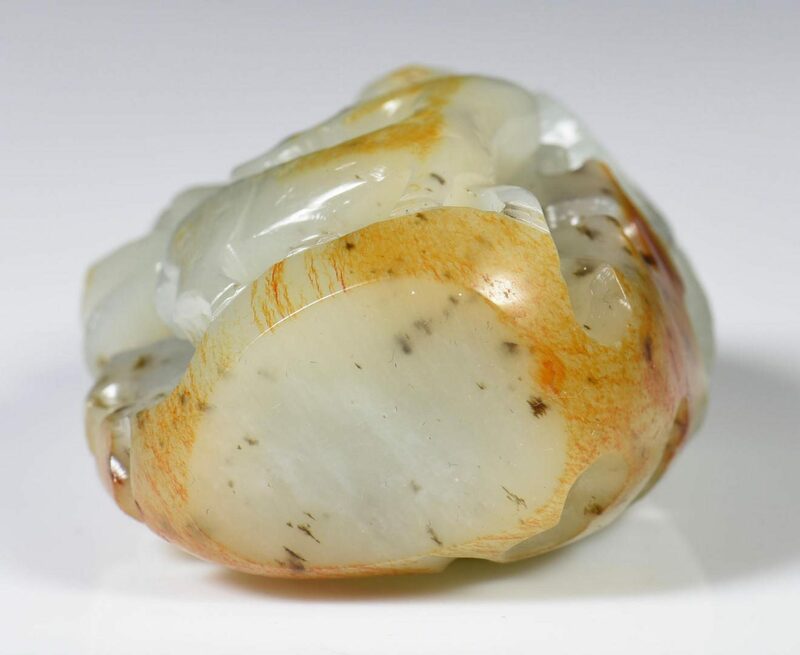 CONDITION: Overall very good condition.